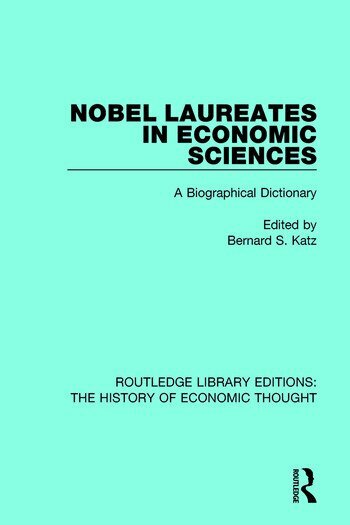 This title, first published in 1989, is an in-depth biographical dictionary of the Nobel Laureates in Economic Sciences from 1969 to 1988. Each biographical entry includes a segment on the foundations of their career in the economic sciences, summaries of their most notable discoveries and ideas and other notable contributions. Each entry also includes a selected bibliography for further reading on the individual. This book will be of particular interest to students of the history of economic thought.